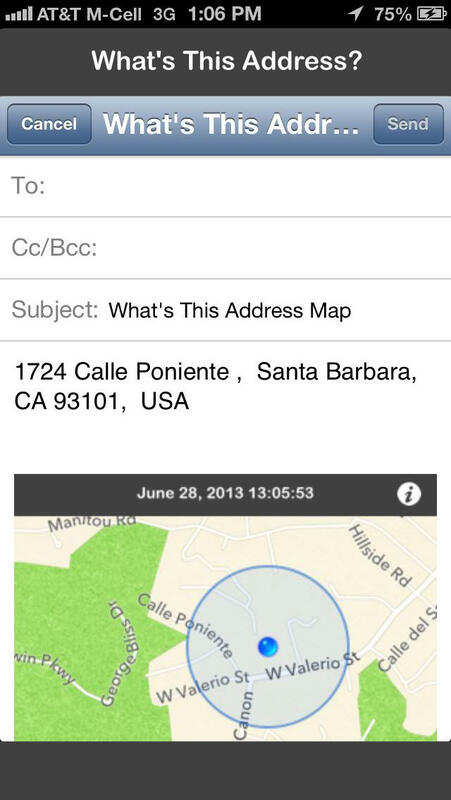 What's This Address is the easiest and most affordable way to calculate your current address in seconds. Use What's This Address when you can't read the street numbers on buildings, if you need to tell a taxi your current address, or instantly email a friend a map of your current address. - Email your location to your Facebook photo upload email address to share your location with friends. e.g. "Happy hour started 5 minutes ago!" Enjoy another great app from Macpapa.com! If you enjoy this app, please leave feedback in the form of a rating or review. Thank you and enjoy a beautiful day! Really useful and does exactly what it claims to do. I travel a lot in my work and this is one of those simple, streamlined apps that made me wonder what I did without it after a couple of days. Great app! 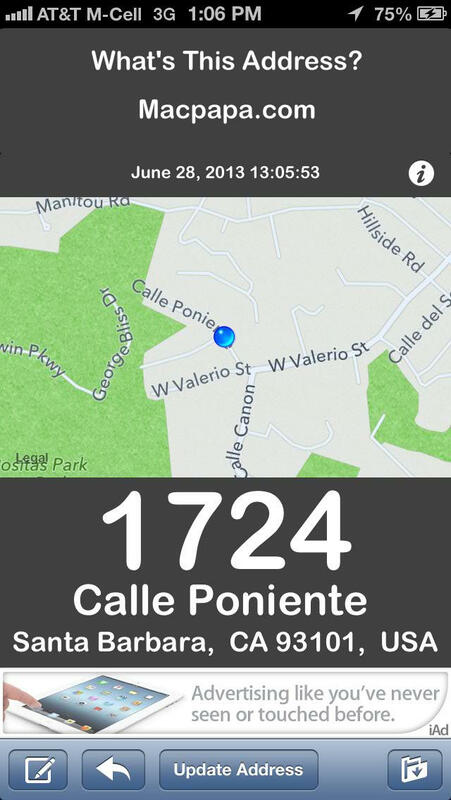 Very easy to use, accurate, I am able to check in with my family and friends by sending a quick email that shows where I am by address with a map of the area. Great if I am traveling or in my home town. It takes me less then a minute and i feel like I'm being responsible. Great for garage sales, directions, being picked up, also a GREAT way to track kids. Thank you Mac papa! All I can say is WOW! This app is the perfect solution for sharing my location with friends. The shizzle! Must have for everyone! I deliver pizza at night and I can rarely see the address numbers on houses. I used it tonight for the first time and woala! As I drive down the street the address is updated in big readable letters. I tried other apps, but they don't autoupdate, the address is on another screen and way too small to read while driving. This is simplicity at its finest! Note: more features will come soon! 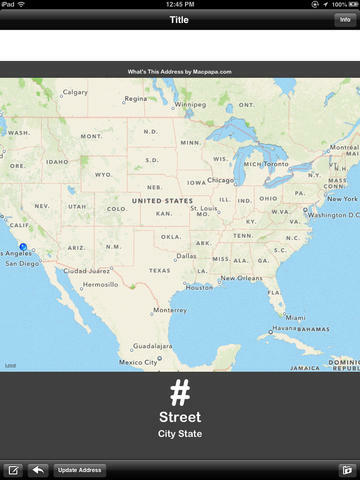 What’s This Address by Bryan Saltzman is an app that uses map data and your GPS location to pinpoint exactly at what address you are currently located.